Interns are a large part of the team at Participate. Our interns do not get coffee and dry cleaning but contribute heavily to the process. A major concern of Participate is that the interns get the best experience possible. “We’re always thinking of ways to improve our interns’ experience,” says Director of Human Resources Ranya Hahn. “This summer, we had 24 interns.” This constant dedication to making a great intern program better is what inspired the Intern Innovation Project. It launched this past summer. As part of the project, interns pitched an idea to improve the company and provided an action plan of what they would do to resolve the issue. Ranya says the idea sparked from a conversation with a friend in HR at a different company. She thought it would be a great project for interns, as people entering the company often identify new things, or see them in a different way. “I think there’s a lot of value in a new set of eyes, regardless of where they are in the company,” she says. The project was optional in its inaugural year. It was completely self-directed by Participate interns and included no team or task assignments. This sparked collaboration, another goal of the activity. 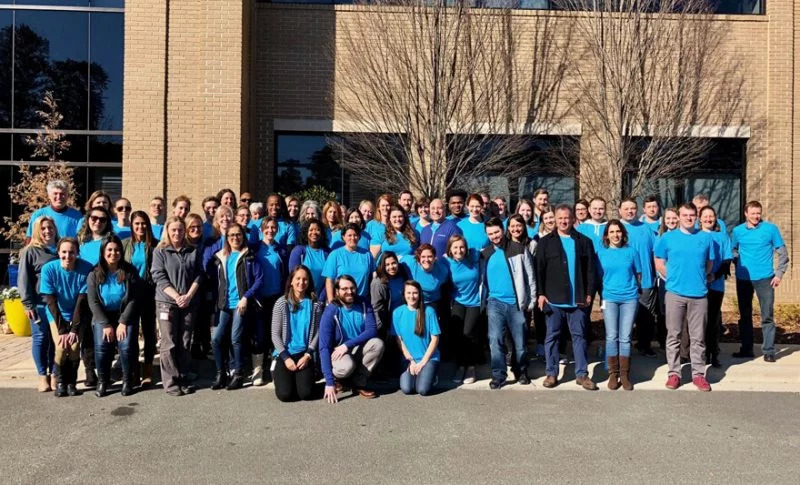 “As a collaborative company, we try to value other people’s opinions, and thought this would be a good way to do so,” says HR Generalist Kelsey Cyrus. Having interns work on a bigger project that connects them to both the company and the real world enables a unique way to learn something new. “Although it’s not a formal class, you’re still learning about the workplace, what you want to do in the future, and more,” Ranya explains. The first of two teams produced a plan for a sustained teacher engagement program. The other team focused on fostering communication and collaboration among interns. Instructional design intern Emma Moore was on the latter team. The team noticed that many interns didn’t know one another and had different ideas about what the company does. She and her colleagues wanted to change this and proposed the idea of developing cross-departmental teams. Interns could meet with these teams a few times a month. This way, interns could not only meet one another but also learn about what other departments are working on. The interns could see how all the moving pieces at Participate come together. “It was a cool opportunity to share our ideas with senior staff,” Emma says. “I see this as not getting too comfortable, and always wanting to improve what you’re doing. You should always be seeking to improve, and getting feedback.” She adds that her advice to future interns is to not be afraid to talk with full-time staff while working on the project. Ranya says this project definitely spoke to her and the HR department. She is looking forward to embracing, as well as implementing, future ideas. The project will be a mandatory component of the internship experience beginning next year. Read more about how Participate employees exemplify our company values. Kirstin Meyerhoeffer is a former product marketing manager at Participate Learning. She is bilingual (English/Spanish) and passionate about generating customer experiences that shift minds and drive actions, as well as the products that inspire them.